I have used various cloud-based systems over the years and many of them have been very good. I'd have to say that TheWebMachine provides not only a great product, but one that can grow as you need, and that has great support. I like the support so much for the following reasons. First, the support that is provided is responsive, effective, and at an expert level. Second, it is provided by nice people that treat you as you would like to be treated. I enjoy working with TheWebMachine and I am able to provide my clients with a great platform filled with value. I install it twice, first time, it do not work, second time server just down after 10 minutes. Can't believe amazon provide those kind of service to customer. This product is well worth the extra money for yearly support. Install was super simple one-click install and had its own security group already built which is a huge time saver as all the ports needed for SIP out of box. Asterisk was ready to go as soon as the image was done spinning up. Tech support was always super helpful and very thorough in response to questions. Just moved the FreePBX instance into my production environment. So far everything seems good had one config issue but i chatted on-line with their support dept today and they quickly pointed me in the right direction. I was Impressed with how easy it was to reach support and how knowledgeable they were. Amazing service, THE BEST SUPPORT! 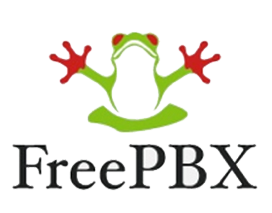 We have been using the AWS FreePBX for a little over a month now. What can I say, is it easy to use? Yes, one of the easiest platforms I've ever had the privledge of using. Was set-up fast? I had the whole system up and running in less that 20 minutes! Can I live without it? Probably, but I wouldn't want to!! I normally do not write reviews, but the AWS FreePBX is indeed something else. If it can help someone make a choice on between trying it or not I would definitely recommend giving it a shot. I assure you, you will NOT be disappointed! TheWebMachine Networks Customer Service is very fast at responding and friendly too. We had an on-premise freepbx server which worked great for 2 years until it got hacked. The restore process upset some config files and we figured for the same cost we could just move to the cloud and be able to have multiple sites working off one system. Worked great. You need a bit of networking knowledge to be able to set it up yourself but by no means do you need to be an expert. The only complaint I'd have is that the minimum server available is actually quite powerful and this increases cost a little. The monthly software fee is also relatively high given that the software is open source. If you have 7-10 users minimum then it is very good value. Any less than that you might be better using a shared service. The software installed seems very complete. It was easy to get going but I get about 20 minutes out of it before the instance crashes and I'm unable to connect via SSH, HTTP etc... Not really very reliable..
We are a small company of 7 people, and the phone system has long been the bane of my existence. We moved to a pbx in 2005, and we made changes as little as possible. Once phones were working, don't look at the pbx funny, don't speak to it badly. Just leave it alone. We actually paid a company a few years back to migrate our system to AWS, and that has worked ok, but was not a fully supported product. Recently, the drive became full, and the system became completely inaccessible. Hence, that forced migration to a new system, and needing to be up and running as quickly as possible. I started on this myself. Fairly familiar with the FreePBX interface, but had some trouble getting voice to work. (If you have ever set up a pbx behind a firewall, I don't have to explain this to you. IT'S A PAIN.) Emailed TheWebMachine, and got a reply back from Mike. We booked out an hour, I granted him access to my machine, and phones were up and running in less than an hour. VERY KNOWLEDGEABLE. Also explained how their instance is set to auto resize the voicemail drive (so we can't get locked out like on our old system.) Really happy with this solution doesn't say enough. I'm quite new to AWS and actually started using it not that long ago. Mike from TheWebMachine has been quite supporting in providing assistance when needed. Coming from a Trixbox background to FreePBX, I had several teething issues but Mike has been nothing but helpful. I would highly recommend this subscription AMI for those looking for a well made, quality configured FreePBX system.